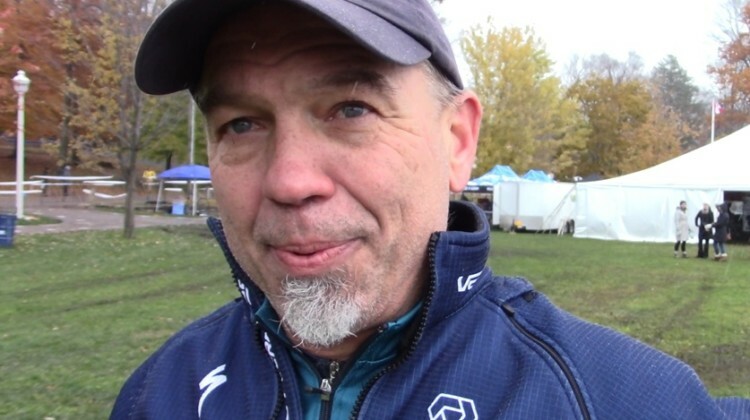 Curtis White is having one of his best cyclocross seasons. He heads to the 2018 Louisville Nationals ready to put his improved skills toward a title. 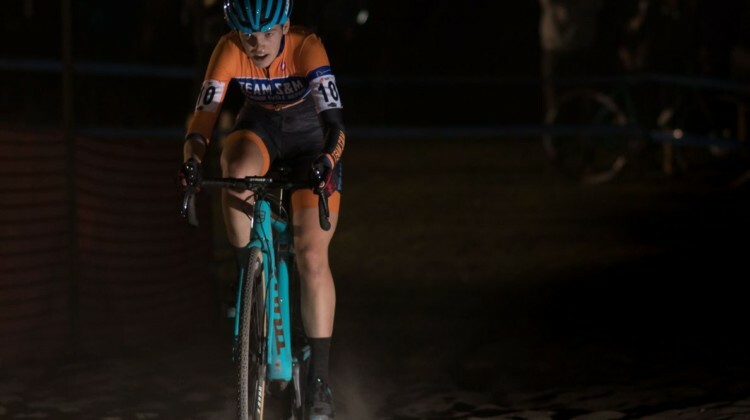 Katie Compton’s 2018/19 season has been her toughest yet due to health issues. 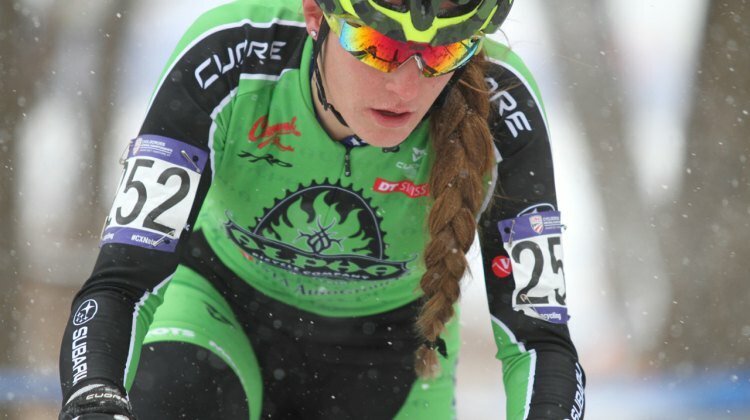 We spoke with her about her struggles and the upcoming Louisville Nats. 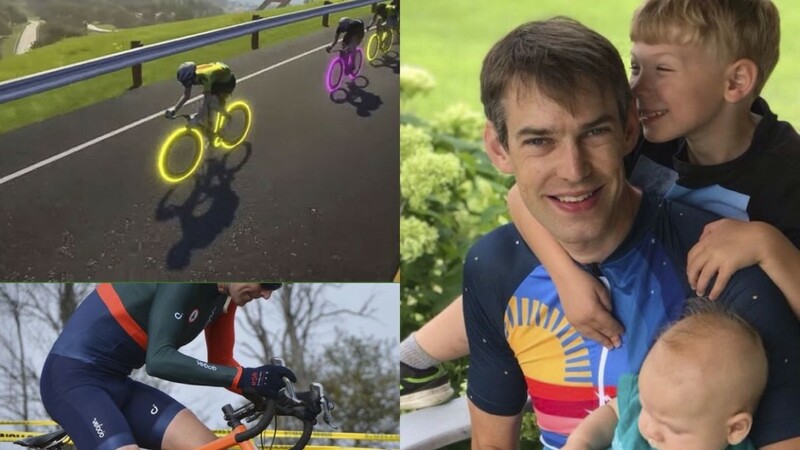 Anthony Clark has been racing around the world with the Squid Squad in 2018. The Pack Chatter podcast talks with him about racing cyclocross in Japan. 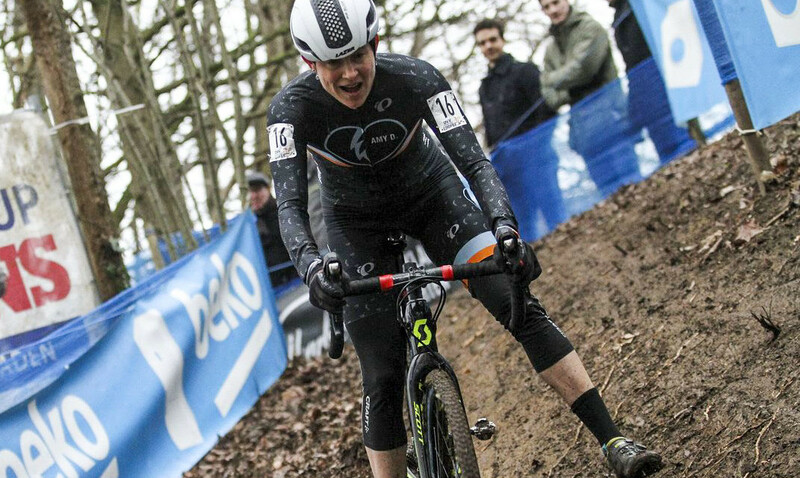 Michael van den Ham won his second-straight Canadian Cyclocross Nationals in 2018. We talked with him about defending the title and his classic at Pan-Ams. 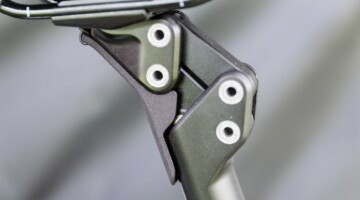 Tobin Ortenblad’s 2018/19 season was cut short by a broken collarbone. 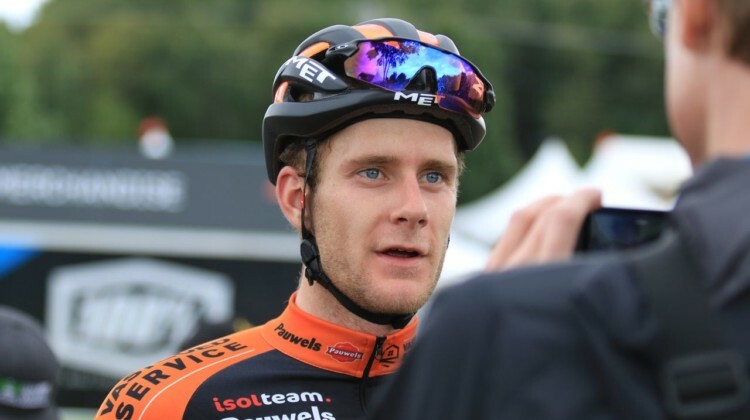 Hear what he had to say about the injury and his 2018 cyclocross season. 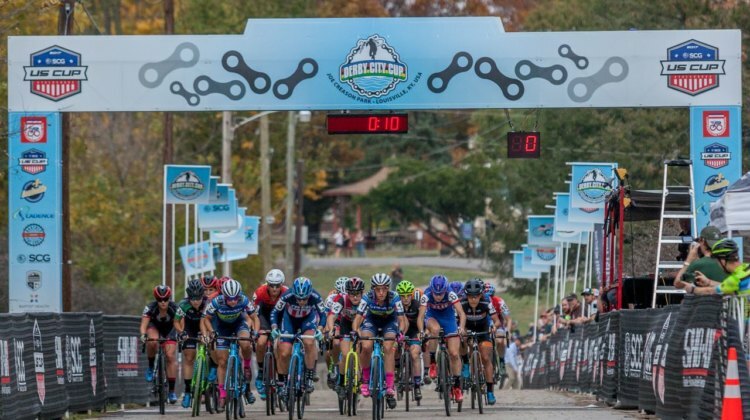 The 2018 Louisville Cyclocross Nationals are coming up fast. 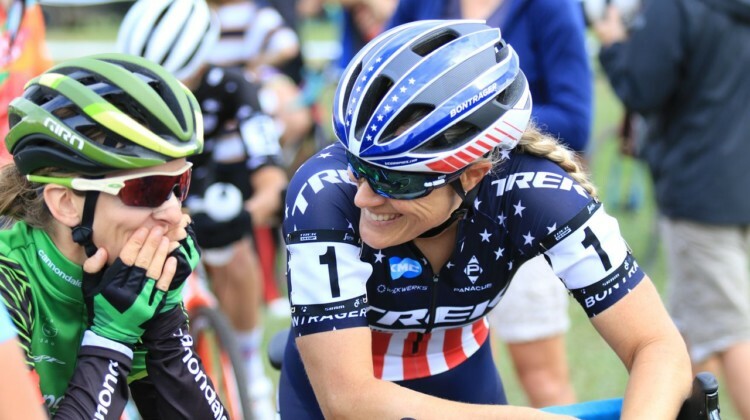 To find out what to expect, we spoke with USA Cycling Events Manager Shawn Brett. 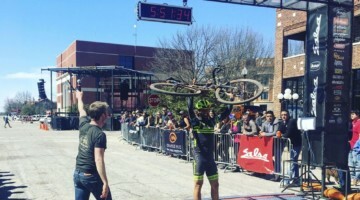 Sofia Gomez Villafane, Eric Brunner and Andrew Strohmeyer won their races on Day 2 of the 2018 Major Taylor Cross Cup. We chatted with them post-race. Maghalie Rochette has had a whirlwind November, winning Pan-Ams and Canadian Nationals and then heading to Europe. 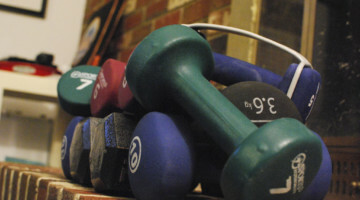 We chatted with her about her success. 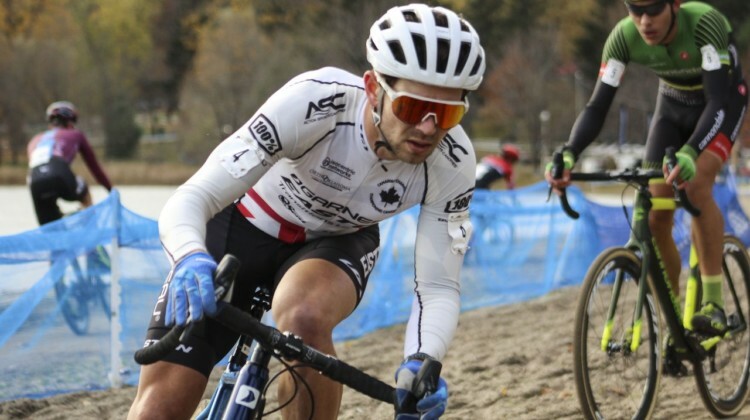 Four Masters Men Pan-American Cyclocross Champions were crowned on Saturday in Midland, Ontario. 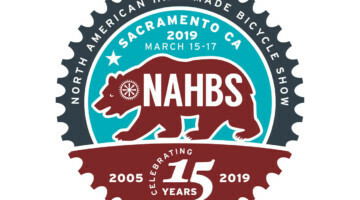 Hear from Charles Townsend, Don Seib and Matt Timmerman. Three Women Masters Pan-American Champions were crowned at the 2018 Pan-American Championships in Midland, Ontario. We talked with them post-race. 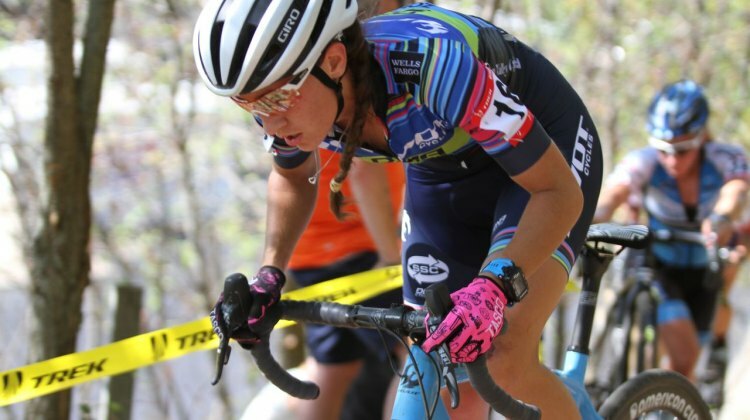 Kerry Werner is one of the hottest cyclocrossers in the US right now. 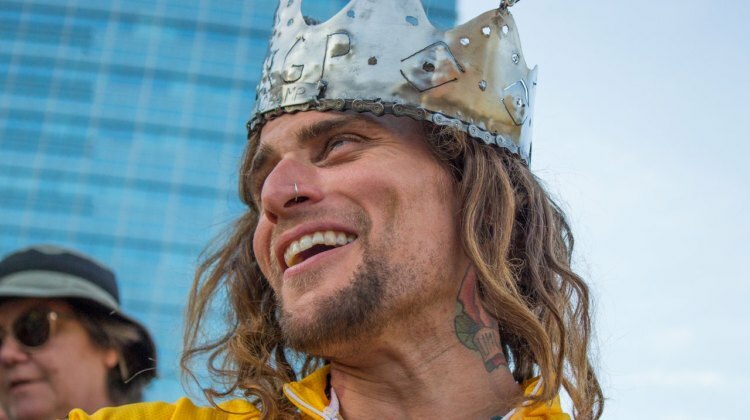 We caught up with him about his success, progress as an athlete and new podium pants. 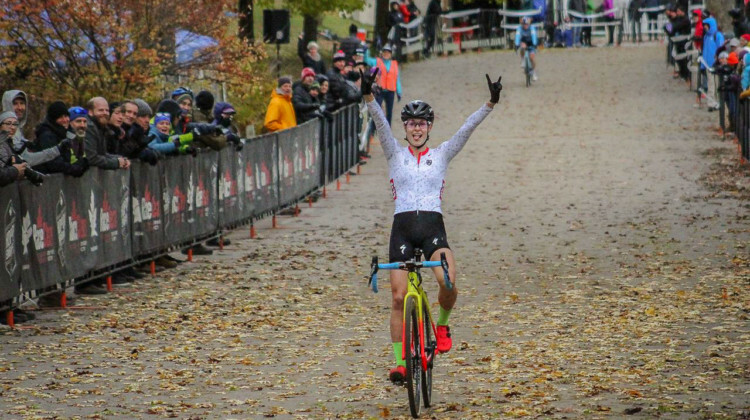 Ellen Noble and Gage Hecht took home wins in Saturday’s C1 at the 2018 Cincinnati Cyclocross weekend. 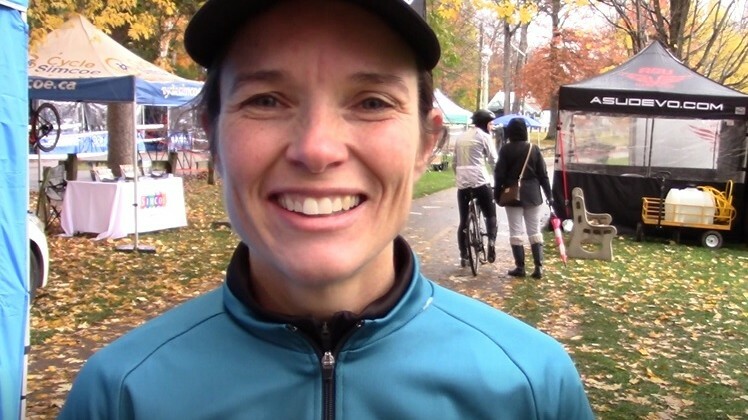 Hear what they had to say about their races. 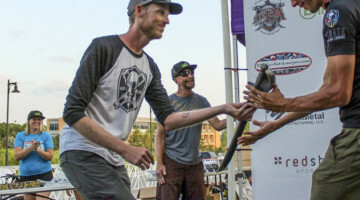 We spoke with Adam Myerson about his first year on the USA Cycling Cyclocross Committee and the current state of USAC. Hear what he had to say. Courtenay McFadden is okay. 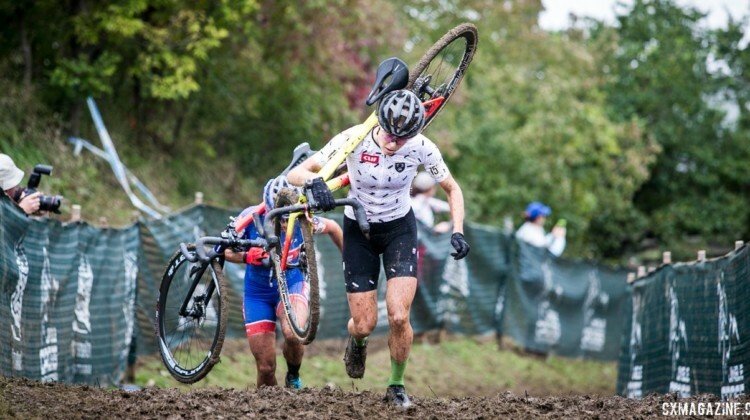 After a leg injury before World Cup Waterloo, McFadden took October off and is set for cyclocross season 2.0. 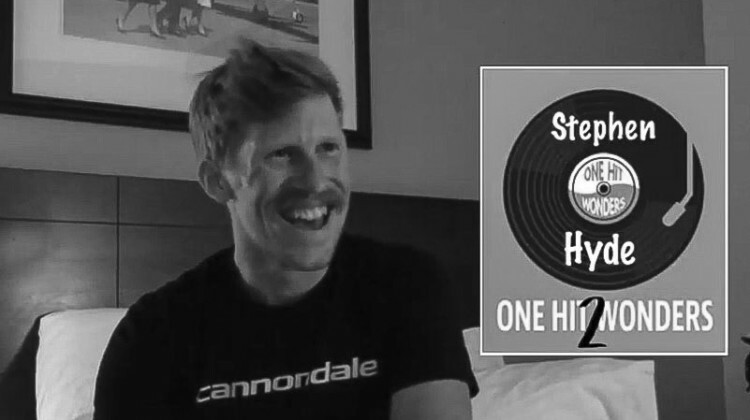 We sat down with Stephen Hyde at his hotel room in Wisconsin to talk about bikes, jerseys and career goals. 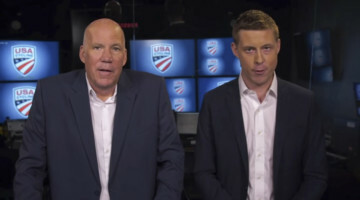 Watch the full interview in this enhanced video. Maghalie Rochette grew up in Quebec and speaks French as her first language. 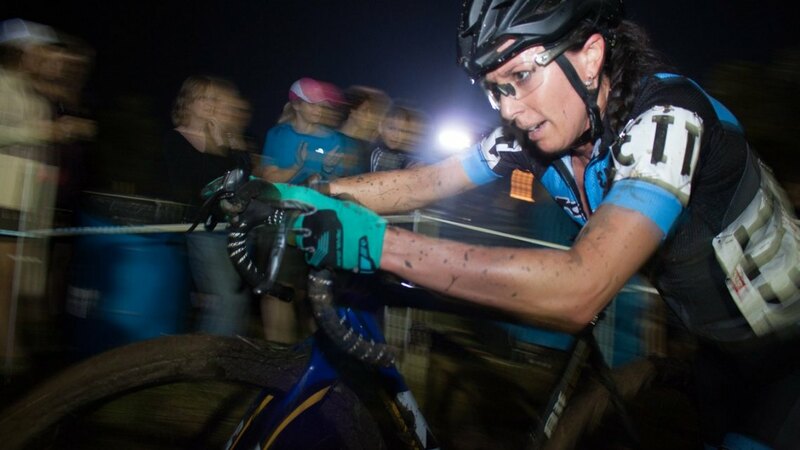 We chat with her about cyclocross in French (and English for our U.S. readers). 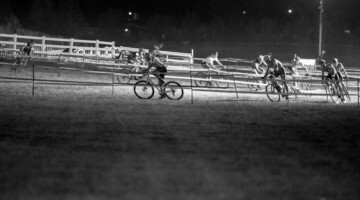 This Sunday, Ireland is hosting its first-ever UCI cyclocross race at the Bioracer-Atlassian International. 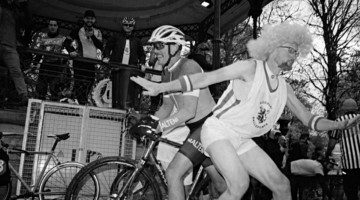 Learn more about the race held outside Belfast. 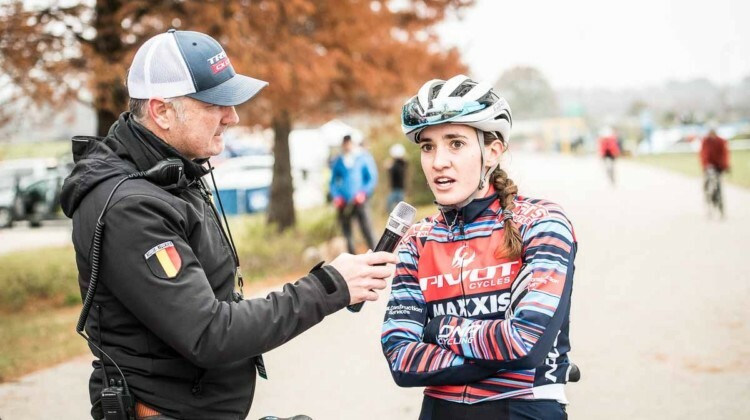 Kaitie Keough got her first career cyclocross World Cup win at the 2018 Jingle Cross, a race she has been doing since she was 15. We chatted with her about the win. 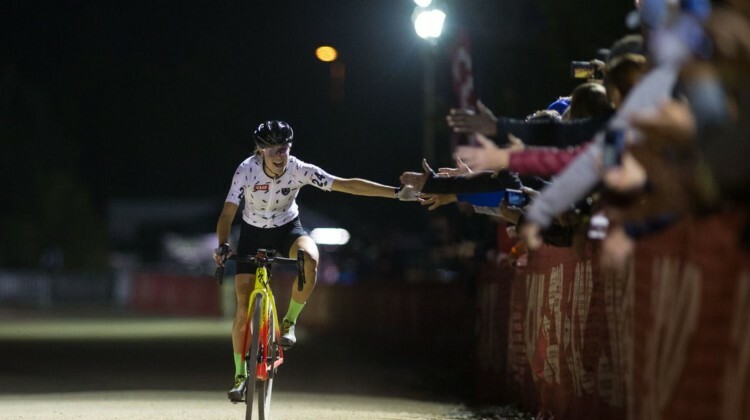 Toon Aerts capped a memorable 2018 U.S. trip with a win at the Jingle Cross World Cup in Iowa. We chatted with him after the race about his win. 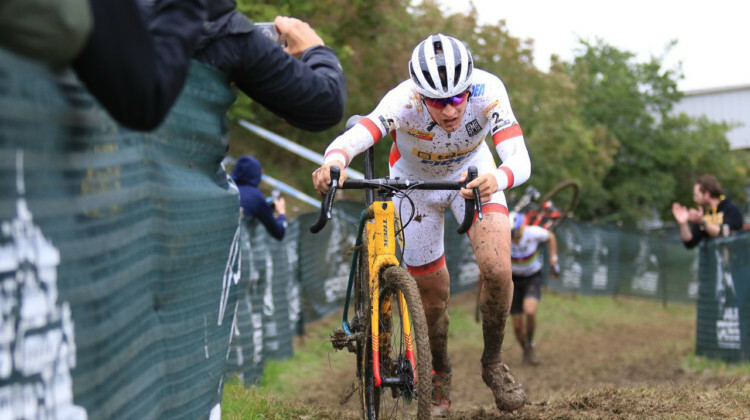 17-year-old is racing Road Worlds on Thursday and the Jingle Cross World Cup on Saturday. We chatted with her about her whirlwind three days. 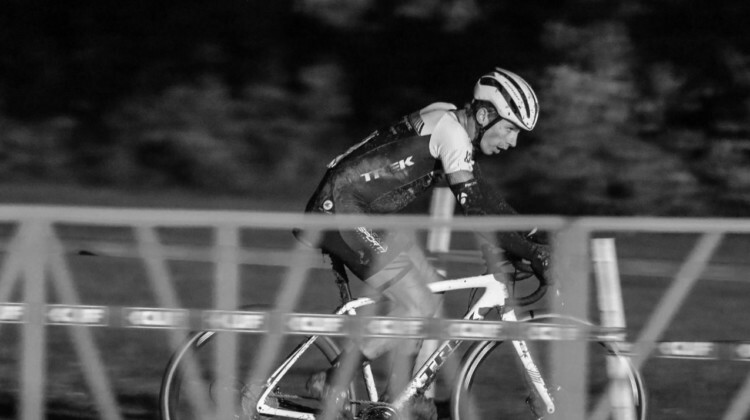 Caleb Swartz first raced at Jingle Cross in 2010 in the Junior 11-12 race. 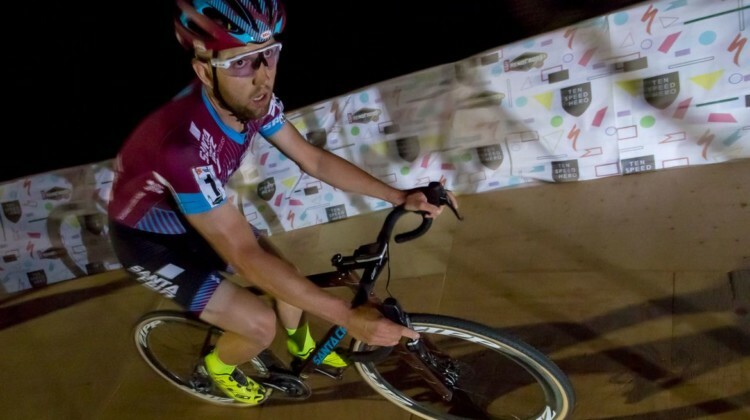 On Friday night, he finished fifth in the UCI race. We asked him about the race. 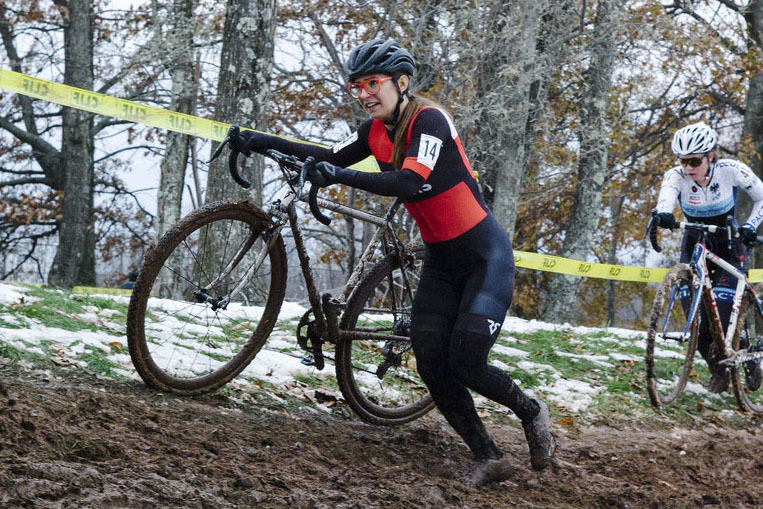 Clara Honsinger is the latest star to come out of Oregon’s Cyclocross Crusade. After a breakout 2017, she is looking to continue her success in 2018. Sofia Gomez Villafañe is one of the sport’s bright young stars. 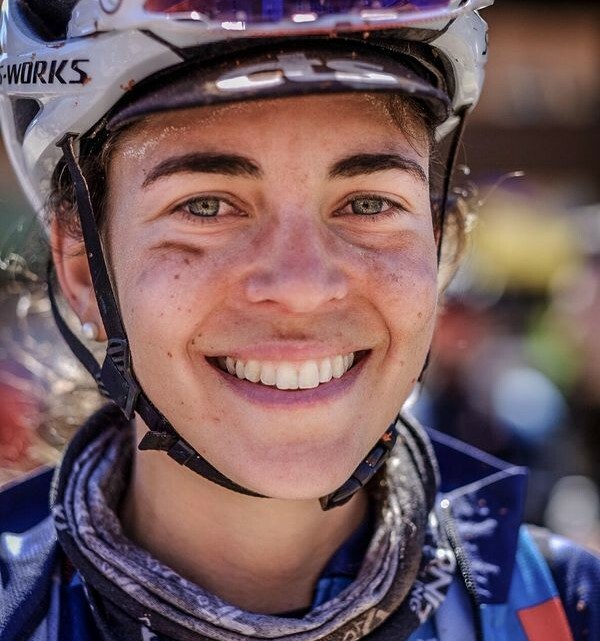 The Argentina native and U.S. resident was in Wisconsin for the 2018 World Cup Waterloo. Toon Aerts, Marianne Vos, Ellen Noble and Evie Richards sat down for a press conference after the 2018 World Cup Waterloo. Read what they had to say. 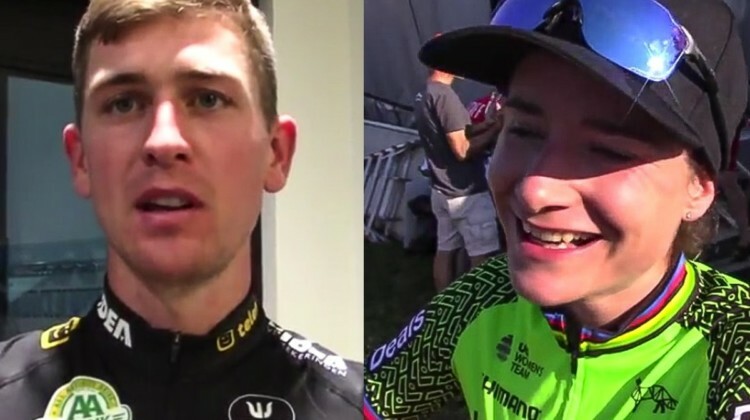 Toon Aerts and Marianne Vos both won their races at the 2018 World Cup Waterloo in Wisconsin. We spoke with each of them about their wins. 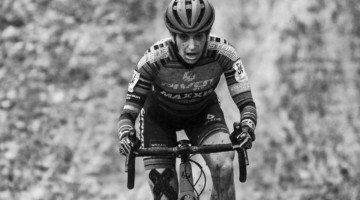 Maghalie Rochette has been on a roll thus far in 2018 after launching her CX Fever p/b Specialized program. 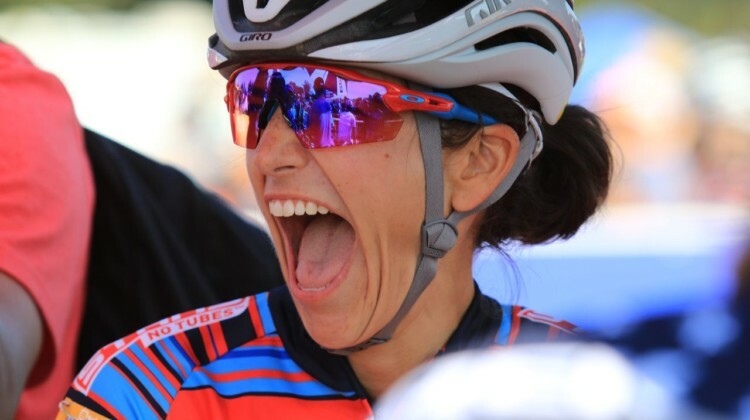 We chatted with her at World Cup Waterloo. 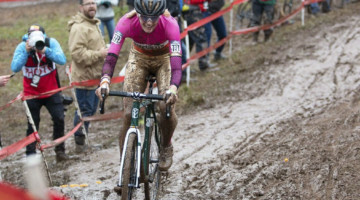 Marianne Vos is starting her cyclocross season early at World Cup Waterloo. 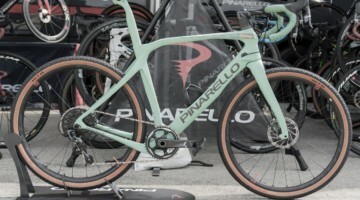 We chatted with her on the day before her first race of the 2018/19 season. 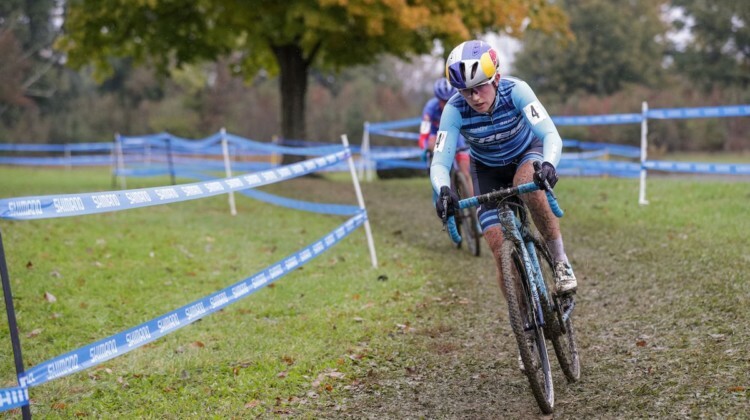 Evie Richards and Quinten Hermans won their races at the 2018 Trek CX Cup. Ellen Noble, Ellen Van Loy and Daan Soete finished on the podium. 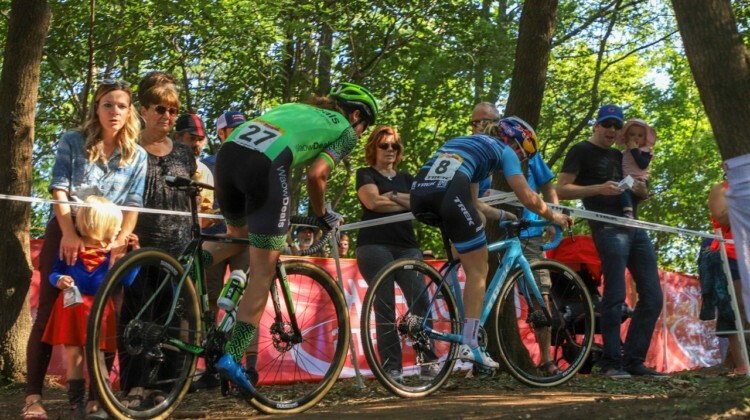 Emily Batty podiumed at the 2018 UCI XCO World Championships. 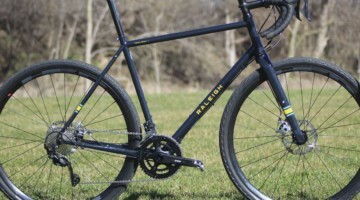 This weekend, she is at the Trek CX Cup. 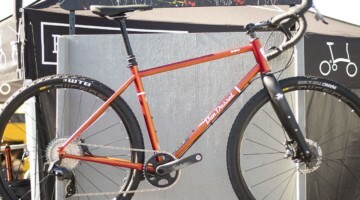 We spoke with her at the weekend of ‘cross racing. Kerry Werner is off to a fast start in 2018 with three wins in five races. 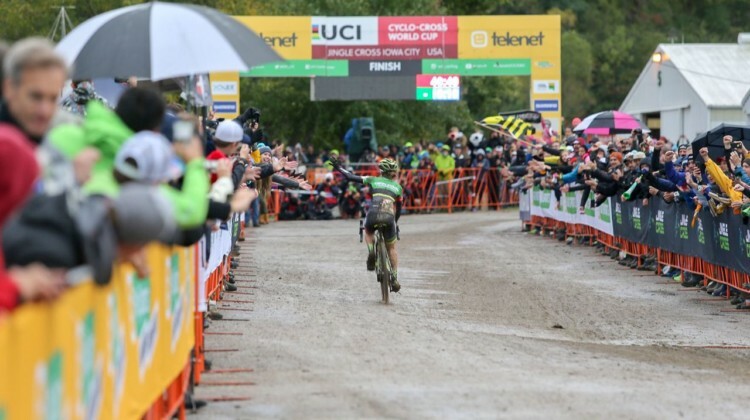 We chatted with him about his success and expectations for World Cup Waterloo.